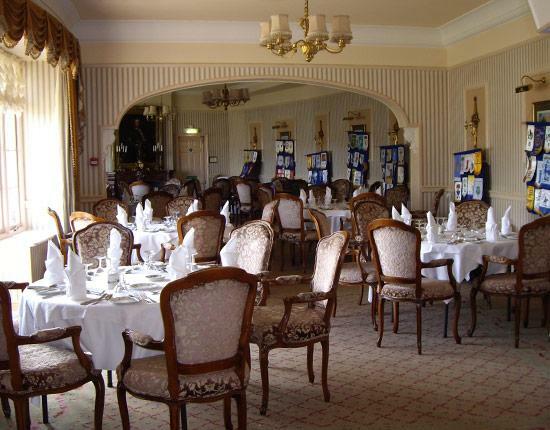 Are you looking for venue hire or somewhere to host your next event in Torquay? 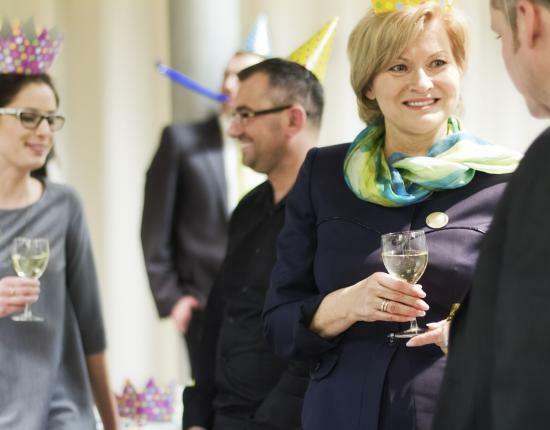 Whether it is a Birthday or Christmas party, a business conference or family gathering, Livermead House can turn any event into a memorable occasion. We also host sea view weddings throughout the year, offering various packages and excellent service. Trust our experienced staff to deliver friendly, first rate service, putting you at ease and giving your guests an occasion to remember. A range of stylish suites and function rooms are at your disposal, no matter how large or small your event. The hotel is located to the West end of Torquay seafront, but we are also near to Newton Abbot, Paignton and Totnes. 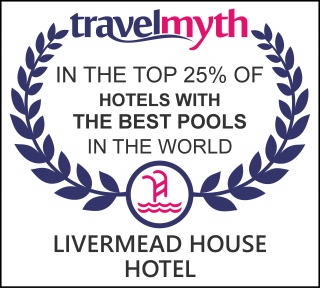 From a boardroom meeting or private dinner party to a grand banquet for over 200, The Livermead House Hotel provides the perfect setting for your event. The following section provides details of our various event spaces amd rooms for hire in Torquay. Please do not hesitate to get in touch with our friendly events team should you have any questions. 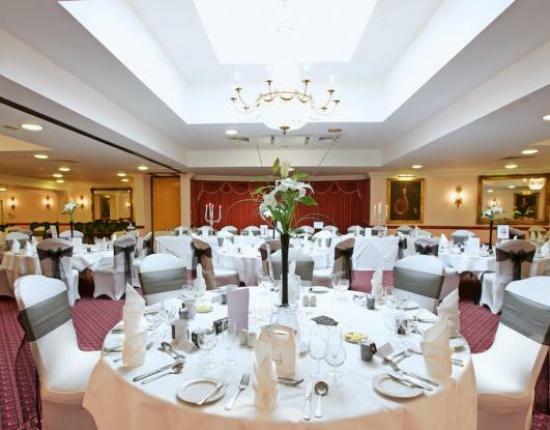 Livermead House has several Function Rooms ideal for various roles, from a private Business Meeting for 6 people to a Grand Banquet for over 200 covers. Wth private bar, 1800sq ft sprung Canadian maple dancefloor. 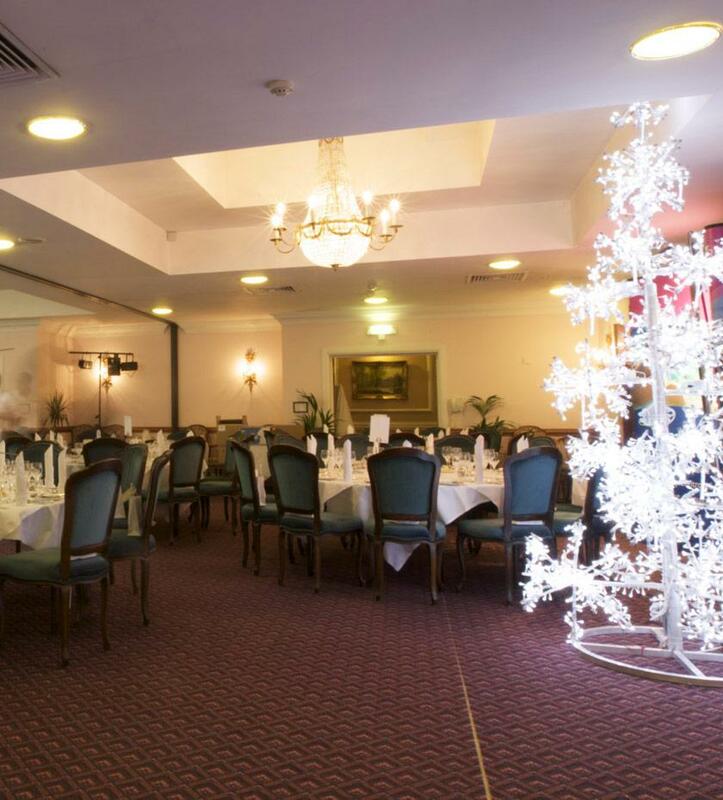 A superb custom-built function room, with generous space for the larger event, including a huge dance floor and private bar (can be used in conjunction with the Kingsley Suite, to provide two bars). This room has also a large sound proof partition if required. Once in place the larger section is known as The Regency Suite, while the smaller section is known as The Cockington Suite. This room can accommodate between 50 - 220 guests. An open plan function room with fantastic views. Ideal for smaller exclusive use events. This room can accommodate between 10 - 40 guests. With private bar, dancefloor and garden terrace. A long slightly curved function room on the garden with good sea view, very popular with special family occasions such as Birthdays and Wedding Receptions. This room can accommodate between 20 - 80 guests. 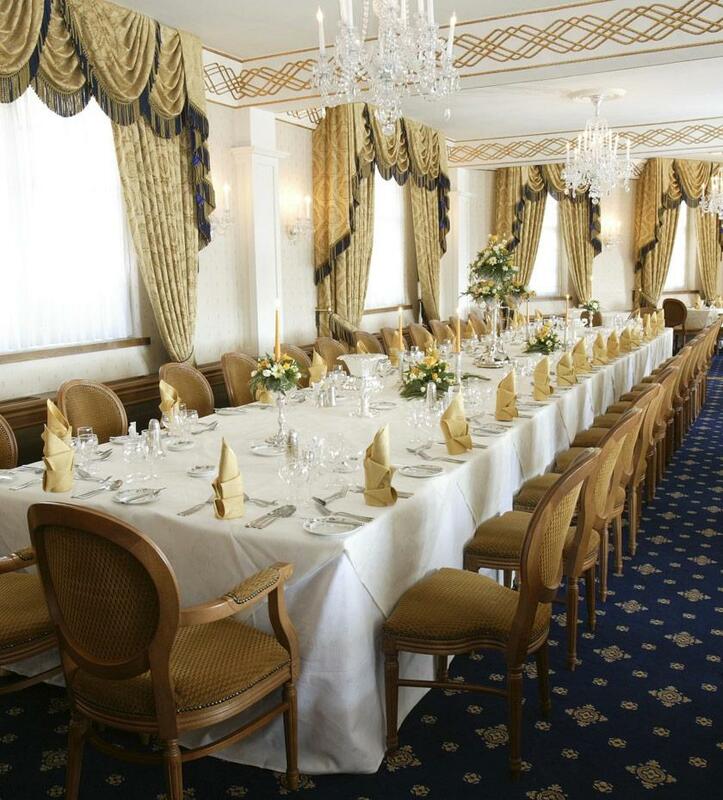 Recently refurbished and wonderfully grand, The Dining Room is an ideal space for any sit-down function. Decorated in Regency style with royal blues and golds, it is perfect for a memorable wedding or celebratory banquet. One of the most stylish party venues in Torbay! This room can accommodate between 80 - 170 guests.